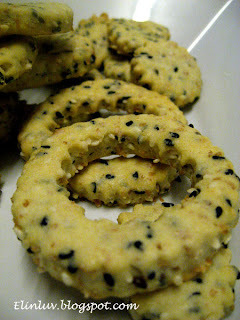 I came across this Sesame Wheat Cookies recipe from Aunty Yochana’s blog . 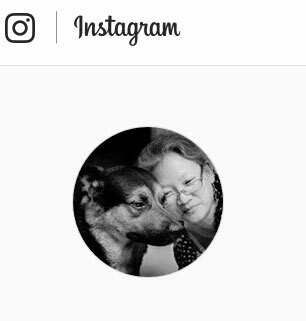 I was attracted to it by the ingredients used and from the picture she posted on her blog ,the crispness of the cookies. I halve the recipe coz Piggies are not back this weekend. But alas to my despair, I halve everything except the 1 EGG!!! Gosh, I was supposed to use only half an egg but I used one instead so the dough came out a bit soft. According to Aunty Yochana’s instruction, the dough needs to be chilled for 2 hours. But becoz it was a bit too wet, I left it in the fridge for 2.5 hours . I only realized my blunder when I rolled the dough to a thin sheet but can’t retained the shape of the cookie. 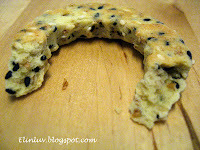 Too soft and I had a hard time lifting the cookie to the baking tray without the shape being distorted (“,) . 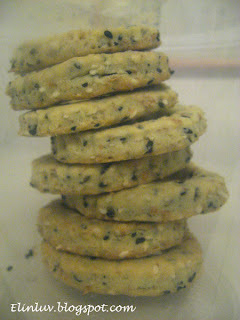 I had to rolled it to a thicker thickness…haha thus after baking, my cookies are different from Aunty Yochana. Hers are crispy and thin in thickness .Mine are thick haha..It is definitely a KEEPER. A good snack food for my Piggies . As you can see,mine are thicker but Thank God they are crispy despite the blunder(",). 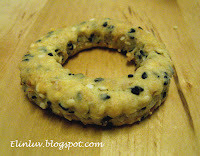 Black sesame is good for health, and I believe it enhance the flovor of your cookies. Yup, the sesame seeds add to the flavor of the cookies. 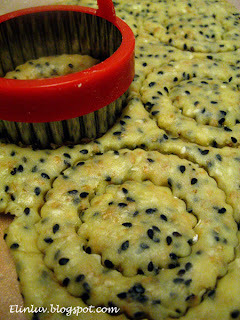 the mixture of buttery goodness with the sesame seeds brings out..hmmm perfect combination :) Yummy!